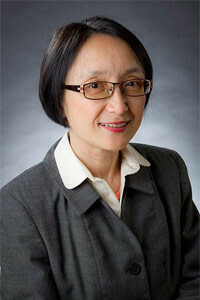 The IARS recently announced the appointment of Lena S. Sun, MD, as the Medical Director of SmartTots. Dr. Sun is an established basic science, translational and clinical researcher, a board-certified physician in Pediatrics, Anesthesiology and Pediatric Anesthesiology and a practicing pediatric anesthesiologist. As the Medical Director of SmartTots, she will help promote and advocate for research to advance and ensure safety of anesthesia in children. She will specifically work with researchers, clinicians, parents and other relevant stakeholders to develop future research strategies to address the pressing challenges to understand the effects of anesthetic and sedative agents in the developing brain. She will also work with all stakeholders to support the implementation and dissemination of research results related to all SmartTots-related issues. Click here to view Dr. Sun’s exciting goals and objective for SmartTots.